Building on a modular design, the Versiv Cabling Certification System is ready for today’s and tomorrow’s requirements. Our new HDR modules and Version 6.0 software are perfect examples. The new modules plug into any Versiv mainframe to test, troubleshoot and document HDR applications supporting outside plant (OSP) back-haul and long-haul services, peer-to-peer (P2P), passive optical network (PON), and fiber-to-the-premises (FTTx) installations. The Version 6.0 software not only supports the new modules, but also provides new features for existing OptiFiber Pro owners. PON Event Map to Locate and Identify Optical Splitters (2, 4, 8, 16, 32, 64, or 128) for faster PON troubleshooting. The features below work on both the new OptiFiber Pro HDR OTDR and existing OptiFiber Pro models. 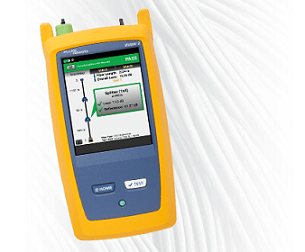 Existing users can download the software at no charge by visiting www.flukenetworks.com/support/downloads. 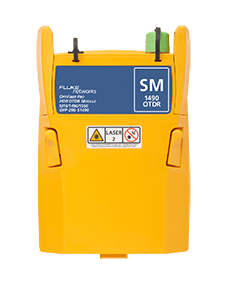 For more information or to discuss the right module for your application, contact our support team at 1-800-28-FLUKE (+ 1-800-283-5853) or info@flukenetworks.com.